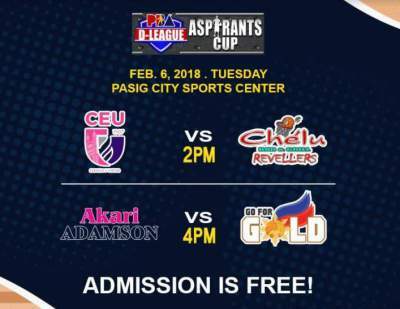 Here is the details for Centro Escolar University (CEU) Scorpions vs. CHE'LU Bar & Grill - San Sebastian (SSC-R) in the elimination round of 2018 PBA D-League Aspirant's Cup. Rod Ebondo posted a solid all-around game with 28 points, 23 rebounds and eight blocks to lead CEU Scorpions to a 105-88 victory over CHE'LU Bar & Grill - San Sebastian. Kent Ilagan of Che'Lu had 19 points in the loss.